Rashidov has spoken during a public discussion in the central Bulgarian town of Karlovo on the promotion of the region’s archaeological sites and the development of cultural tourism. “What must be done? Why do we have no tourists? Why do they know about Garibaldi but have not heard of Levski? How is it possible that the Valley of Roses has such landmarks and they don’t attract visitors, and Garibaldi is more famous than our Vasil Levski. 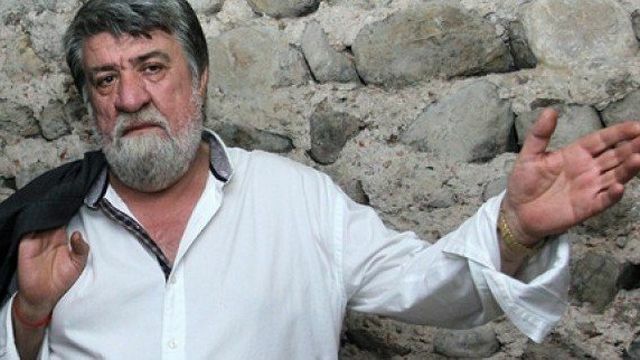 Both of them fought for freedom”, the Bulgarian Culture Minister has asked, comparing the legendary 19th century freedom fighters – Italy’s Giuseppe Garibaldi (1807-1882) and Bulgaria’s Vasil Levski (1837-1873), as cited by the Bulgarian National Radio. “Leonardo da Vinci’s grave in Italy is visited by 12 million tourists per year, while the Karlovo Museum and the other [Bulgarian] museums with thousands of artifacts are not alive. We have talented people but nobody knows them. We have wonderful museums but they have few visitors, while the Bulgarian exhibit [on Ancient Thrace] in the Louvre is visited by 30,000 people per day,” Rashidov has added, urging the residents of Karlovo to resurrect the spirit of civic activism from Bulgaria’s National Revival period (18th-19th century), and the Bulgarian government to continue to work for the development of a national strategy for cultural tourism. “Museums must be living organisms which create but also sell history. Local museum chiefs, mayors, people dealing with culture and cultural attractions must be more open and proactive,” he has told local TV channel Karlovo.tv. In his words, in the past 25 years Bulgaria has not “completed” a single archaeological site as a tourist destination. Bulgaria’s Culture Minister Vezhdi Rashidov, who is of ethnic Turkish origin, is a popular sculptor and public figure but a rather controversial political figure, oftentimes known for scandalous remarks and questionable actions. He has been the Minister of Culture in the center-right coalition government led by the GERB party since the fall of 2014, and also held the same post in the first GERB Cabinet in 2009-2013. Rashidov has been criticized on a lot of occasions, including over the organization of Bulgaria’s current exhibition on Ancient Thrace in the Louvre Museum in Paris, which is entitled “Thracian Kings’ Epic. Archaeological Discoveries in Bulgaria”. During the public discussion in Karlovo, senior civil servants from Bulgaria’s Ministry of Tourism and the Council of Ministers have cited figures about international tourism indicating that while in 2014, 60% of the tourists in the world preferred cultural tourism, in Europe this number was 27%, and in Bulgaria – only 14%. They have also presented the EU funding opportunities for regional development from Operational Program “Regions in Growth”. They have pointed out as an achievement the fact that 30,000 tourists from Bulgaria’s largest Black Sea resort Sunny Beach are expected to visit the Ancient Thracian sanctuary Belintash in the Rhodope Mountains. During his trip, Bulgaria’s Culture Minister also visited another nearby town, Kalofer, where he inspected the condition of the monument of Bulgarian revolutionary and poet Hristo Botev (1848-1876), and of the Ancient Thracian tomb in Starosel, which have been affected by recent landslides. In his words, the monument of Hristo Botev, which is the work of Bulgarian sculptor Dimitar Daskalov, Rashidov’s teacher, might have to be moved to another location if the landslide continues. This is to be decided by a special commission from the Ministry of Culture. The Ancient Thracian tomb in Starosel is currently being rehabilitated with BGN 360,000 (app. EUR 190,000) specially allocated by the Bulgarian government. 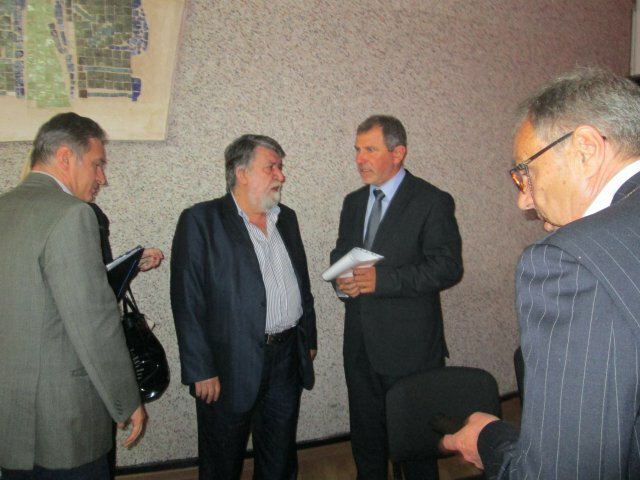 Just as Rashidov was urging local authorities and museums to be proactive in the promotion of Bulgaria’s archaeological and cultural heritage, the International Council on Monuments and Sites (ICOMOS) issued a statement expressing criticism and concern over the the recent restorations of archaeological sites in Bulgaria.